Here's How to Make Your Vow Renewal Ceremony Extra Special! - An Inspired Affair, LLC. 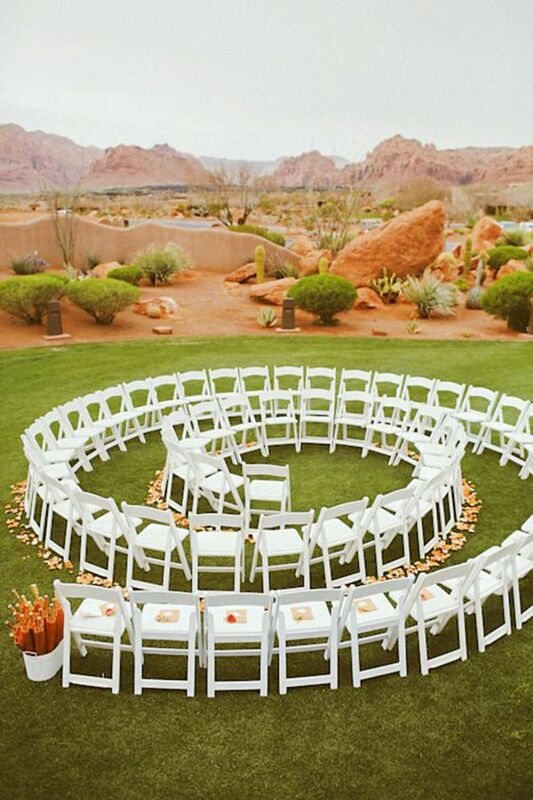 Here’s How to Make Your Vow Renewal Ceremony Extra Special! While you may only officially get married once, there is something called a vow renewal that we are HUGE fans of, for lot of reasons. 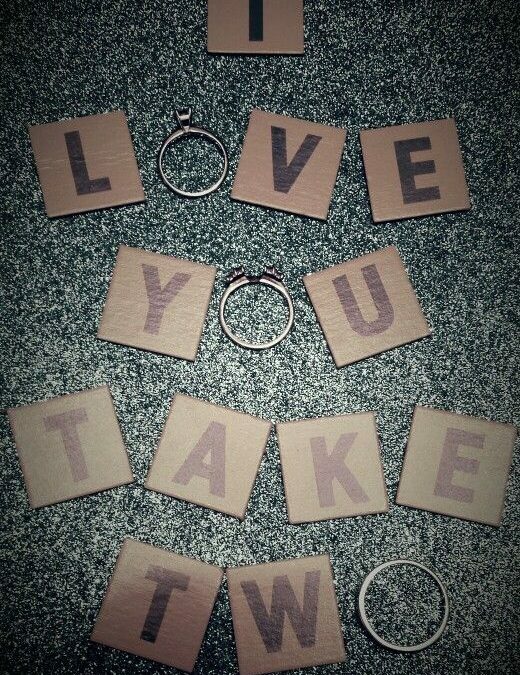 One, it’s a special way to reaffirm the commitment that you and yours made to one another. Two, if there’s something that you always wish you could’ve done on your wedding day, vow renewal ceremonies give you the opportunity to make that dream come true. And three, you can have a vow renewal as much as you want—annually, every five years or on traditional milestone years. 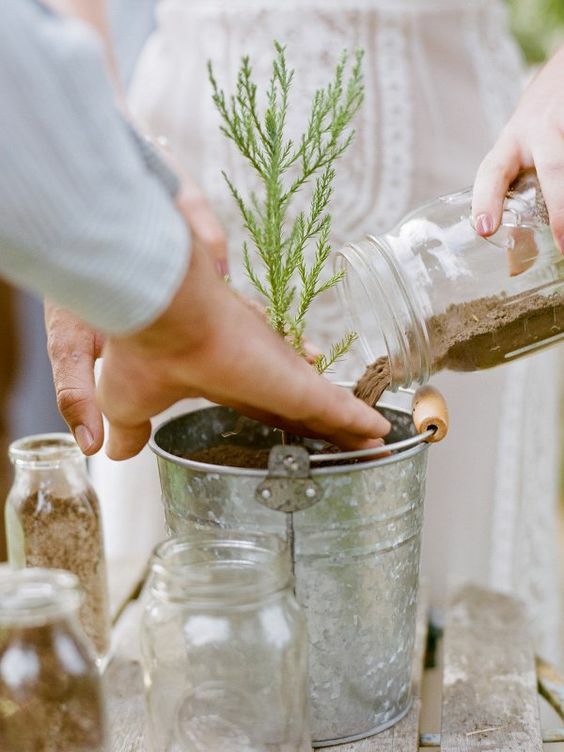 Whether you’ve been married a few years now and you’re considering having a vow renewal or you want to convince your parents or some close friends to do it, here are some ways to make the event just as wonderful as the original wedding day was. It could be romantic to renew your vows at the same place where you said, “I do”. But one of the awesome things about vow renewal ceremonies is it gives you the opportunity to “recreate” your wedding day so to speak. If you got married in a church, but a part of you always wanted to get married outside/on a beach, now is your chance to do just that. Opting for a different venue is a way to create a whole new set of “wedding day memories”. 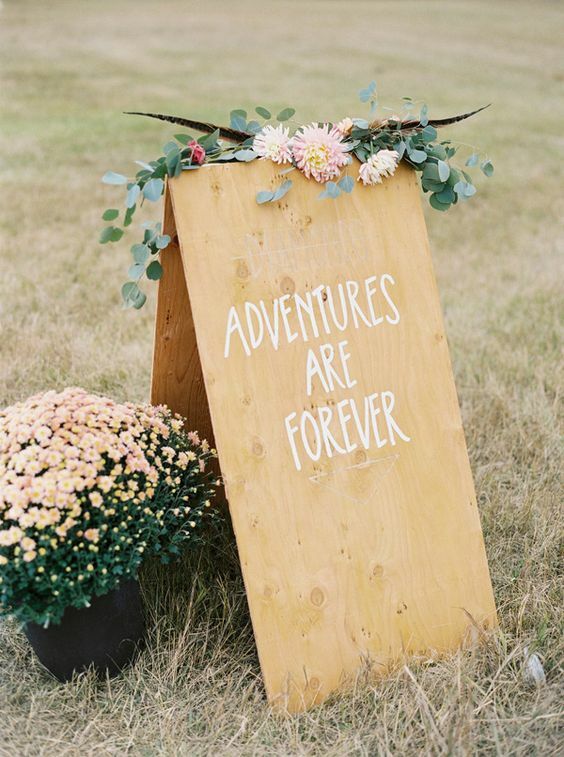 Just think about all of the memories you’ve had since your wedding day! One way to share some of them with your guests is by literally taking a walk down memory’s lane. 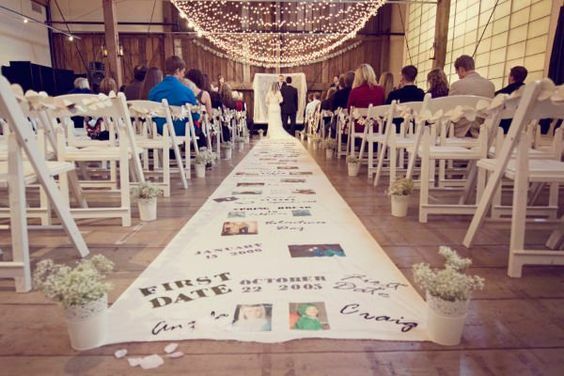 You can do that by designing an aisle runner with photos all over it. Click here to learn how to make one yourself. Or you can go to a website like Etsy to have one customized. 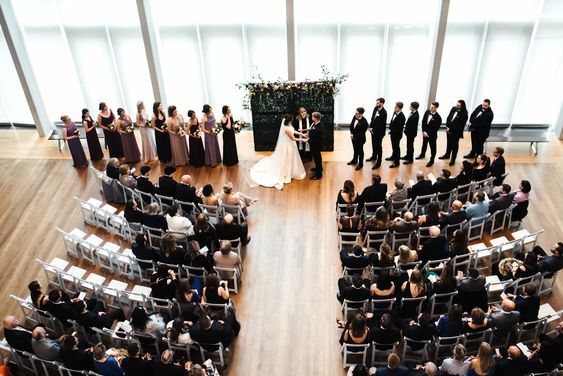 Whether you went with traditional wedding vows or you wrote your own on your special day, we’re willing to bet some pretty good money that you’ve learned A LOT about what marriage entails now that you have a few years underneath your belt! 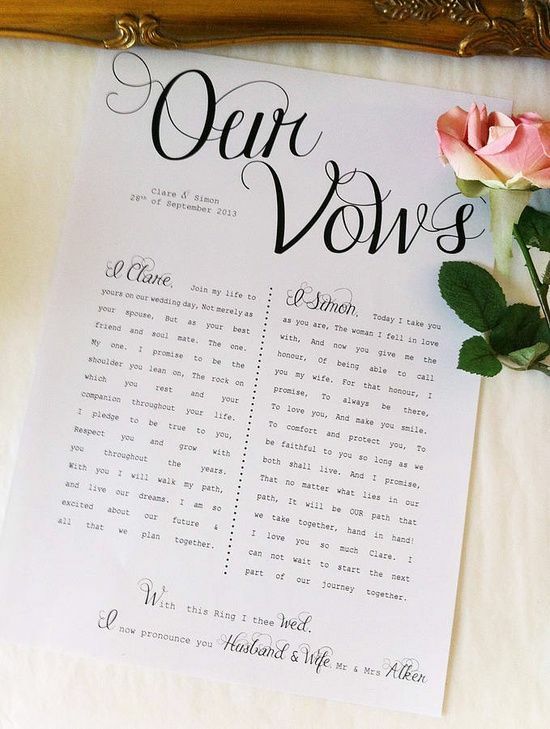 Add some lighthearted reality checks to your vow renewal by writing your vows based on what marriage has taught you and what you NOW promise to your spouse, taking all of that into account. It will be sure to bring laughs, a few tears and a lot of thoughtful contemplation. Something else that can make vow renewal ceremonies really special is if you have segments in your ceremony when you ask the other married couples to join in. For instance, if you decide to re-recite traditional vows or I Corinthians 13 (the Love Chapter in the Bible), it can be really sweet and sentimental for the “officiant” to ask guests in the audience to stand and repeat after you as a way of rededicating themselves to their own partners too. If you REALLY want to see how much things have either changed or stay the same (at least physically), schedule a photo shoot in your ORIGINAL WEDDING ATTIRE before your special day. You can use the pictures either for your vow renewal program or as photos for the front of your party favor bag. Or, there’s one other place you can put them. Not all vow renewal ceremonies follow-up with a reception. But if that is something that you would like to have, instead of traditional centerpieces, print out lists of different things that you’ve learned since your wedding day and put them into really pretty picture frames. 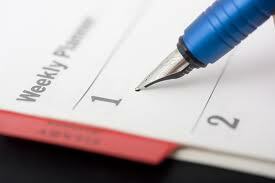 You can even break it all down into categories including communication, intimacy, parenting, compromise and in-laws. They can be funny or serious. It’s totally up to you. BTW, you can complement the lists by putting some of your photographs next to them. Even if you had the best honeymoon ever, unless you took months off of work and had a load of cash, you were probably only able to go to one or two different destinations. If you’ve got other spots on your to-go/to-do list, use your vow renewal ceremony as an opportunity to visit another location. After all, the only thing better than one honeymoon is more than one. Right? 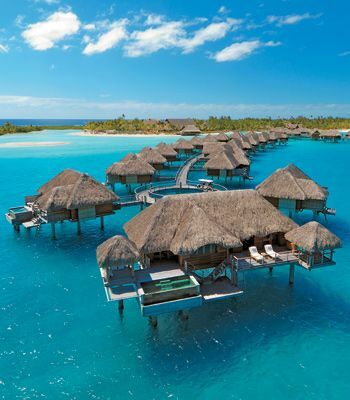 (Click here to check out some 2018 honeymoon destination trends!) Right. ENJOY!